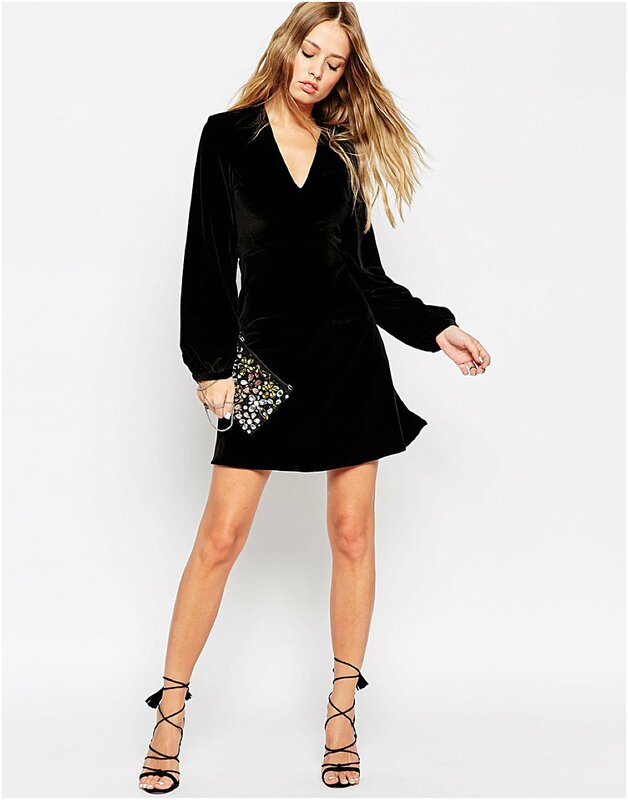 The Little Black Dress – Velvet 2015 featured above. Fully corseted for total structure, this mini dress by Unique will make you feel like a million dollars. If however you are after a different kind of off the shoulder, then try the Mango velvet dress featured on the left. In a smooth velvet fabric, it comes in a bodycon style and features a stylish asymmetric neckline. For something else head to Asos for their Asymmetric Bandeau Mini shown on the right. Finally, if you like long sleeves, then why not try this look from Needle and Thread which features bell Sleeves and a plunging neck line? Very 70s and quite bohemian don't you think? 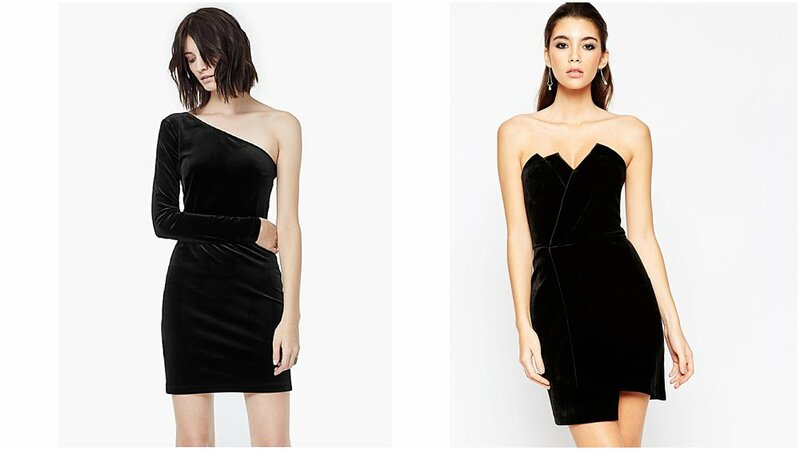 So based on this post, have you changed your mind about velvet? If so tell me why?